I was very lucky that my MAC highlighter hit pan last week meaning that I could justify a new highlighter! There was really only one product that I wanted. 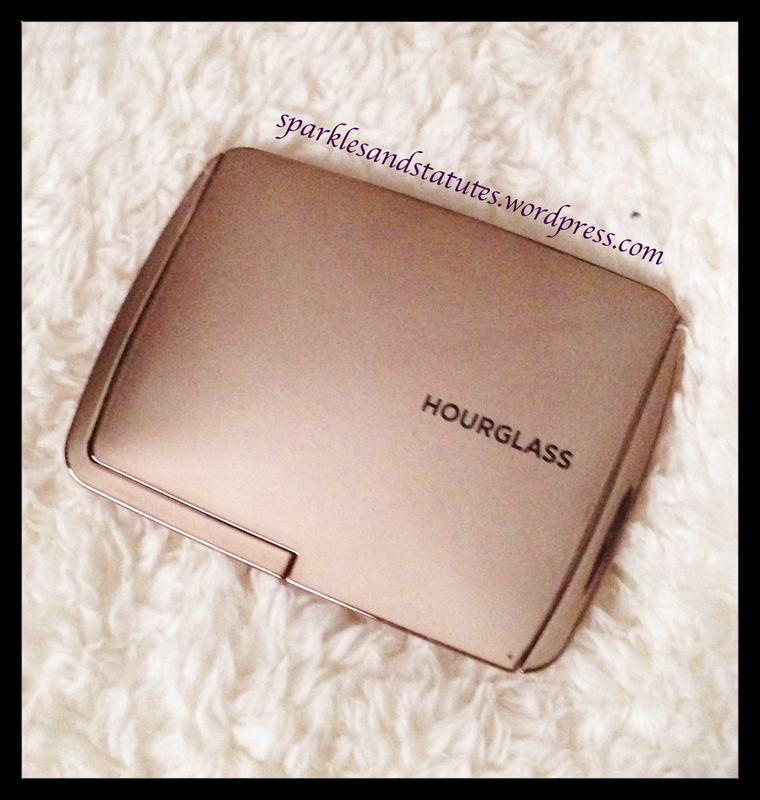 The Hourglass Ambient Lighting powders have received lots of hype and in time for Christmas, Hourglass have released this edit which features 6 of their products. Diffused Light can be used as an al over face powder, whereas Iridescent Light and Dim Light are highlighters for the high points of the face. Both blush colours are beautifully subtle giving a fresh glow to the cheeks and the bronzer gives a sumptuous healthy glow to the face. This palette is expensive at £65 however the sizes of the products are generous at 1.4g each and easily fit even a powder brush in each pan. A true princess product to put on your Christmas list! In a previous post I showed you this product but I hadn’t really tried it so couldn’t give a true opinion. I just want to say that U only picked this up because L’Oreal had an offer on and I was buying another of their products so picked this up on a whim, but I am pleased to say that I was very pleasantly surprised. 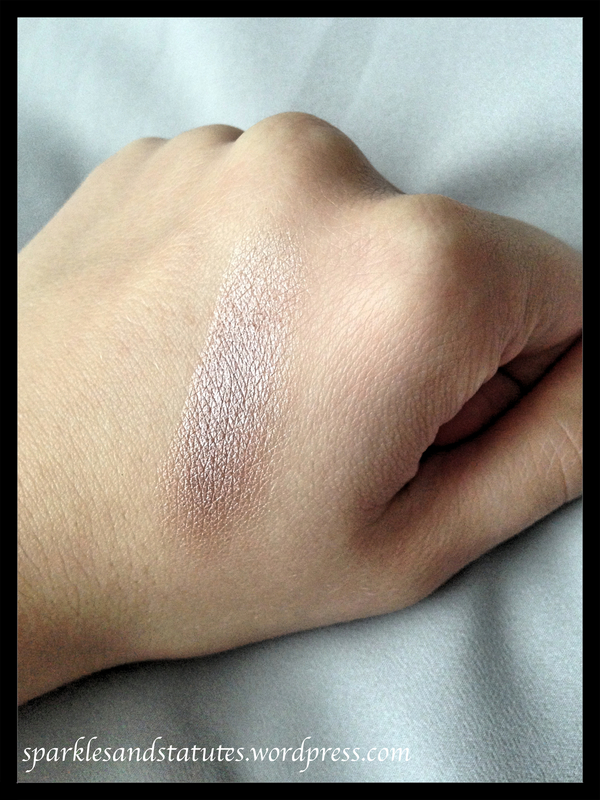 This is described as a gel-infused eyeshadow. I’m going to be honest I have no idea what this means and I can’t work out whether this is a cream or powder eyeshadow. The texture is so smooth and blendable like a cream eye shadow but it dries like a powder. You need to go into a store and try the tester out. 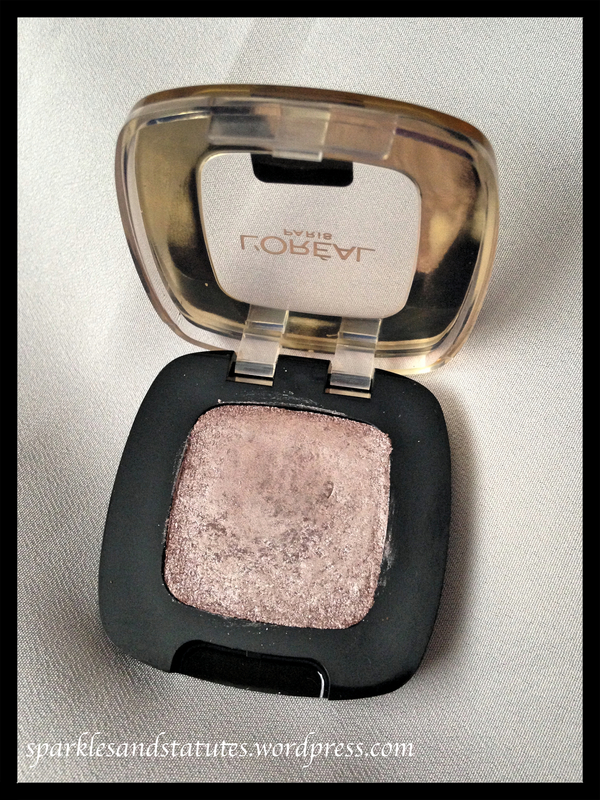 For me, the best thing about this eyeshadow is the longevity. I have been wearing this for work with no primer and it has not creased at all. At the end of the day it looks like I have just applied it. 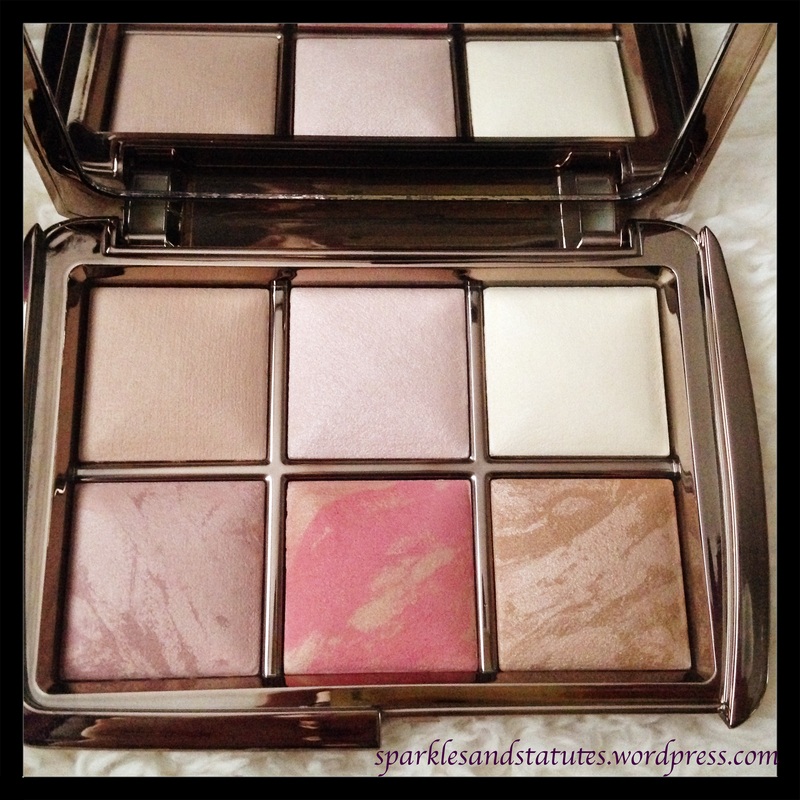 Probably the best eyeshadow I have ever tried!!! I don’t know whether L’Oreal have always been amazing but i’m having a L’Oreal revolution and am having my eyes opened to their quality. Seriously getting hooked on this brand! 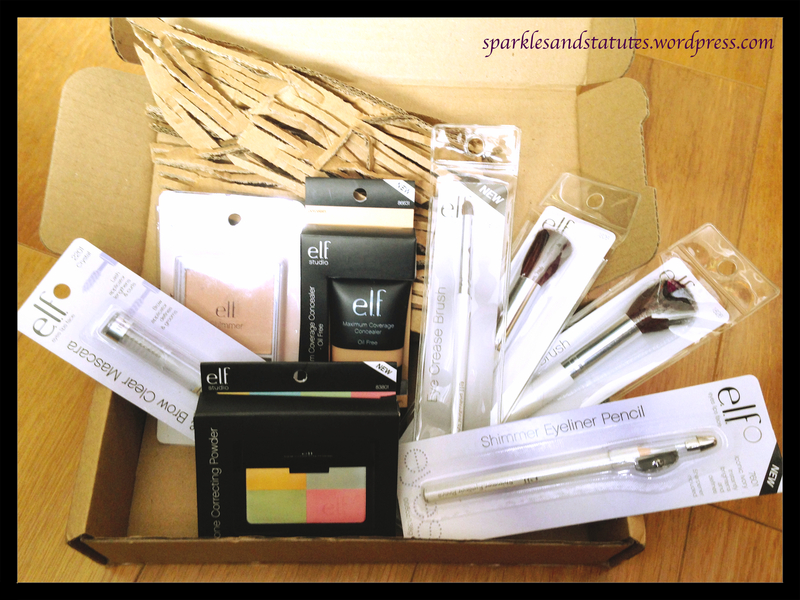 Last week Elf Cosmetics had 50% off all their products so it would have been rude not to! The first thing I picked up was the clear brow gel. This product has received a lot of hype online so I was excited to try it. I have used it for work the last few days and it doesn’t seem to have flaked at all and has held my brows in place all day so for £2 full price it’s a winner! I also picked up some of their brushes. I ordered 2 powder brushes and a eye crease brush. These brushes are so disappointing. The moment I opened the packaging I could tell that they were poor quality……. they went straight in to the bin! I ordered their Shimmer highlighter in Pink. This is quite powdery and doesn’t last for very long at all but for £2.50 full price then it is a good product to use if you are happy to top up throughout the day. The product that surprised me most was the Maximum Coverage Concealer. 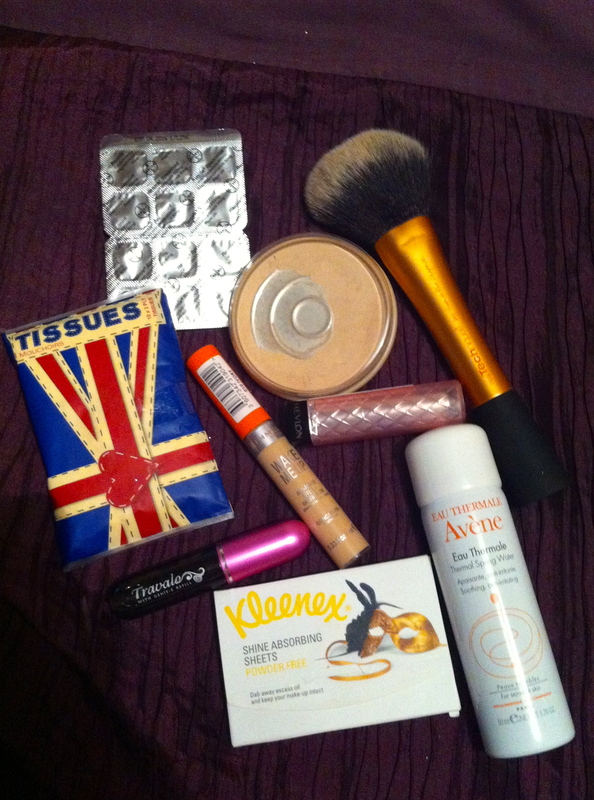 Considering that this is only £4 full price it has decent coverage and blends very well. Definitely a product to try if you want an affordable concealer. I picked up the Shimmer Eyeline Pencil in Iconic Ivory to use on the inner corner of my eye, however the pencil is scratchy and does not blend very well at all. Definitely not a product to try! Finally, I decided to add the Tone Correcting Powder to my basket simply because it intrigued me. It is made up of 4 coloured powders: blue, pink. green and yellow. The idea behind the product is great, however the actual product is horrendous. The powder makes your skin look white. Considering that I am a very pale person it is very rare for a product to be too pale for me, so this would be even more horrendous for a person with a medium skin tone! My verdict…….. I would much rather spend more money on other brands and have decent products than pay extremely low prices for products that are going to go straight in to the bin!! Two of my best friends are getting married this summer: one in July and one this coming weekend so I think that I have nailed the must-have products for in your bag for the big day! The first item is a boring one, as it is RENEE. These are indigestion tablets but I feel they are a necessity for a day filled with food and drink. I suffer from IBS so I take a Renee after eating to help to ease my stomach and to stop me from bloating. They are also great for heartburn and of course indigestion. For me this is the most important handbag essential because if my stomachs uncomfortable then I’m not going to feel pretty and confident. My second essential is of course TISSUES. I bought this cute Union Jack print pack from Boux Avenue as it compact yet pretty. Unfortunately I wont have these with me at the church as I am a bridesmaid so wont be carrying my bag into the service, however they will be very useful for the speeches and the first dance. My next essential is my TRAVALO perfume atomiser, filled with perfume of course. I cannot rate these highly enough. They are so easy to fill and so compact. I never carry a full size bottle of perfume anywhere anymore. This is of course for freshening up throughout the day. A little spray of perfume really makes me feel fresh and confident. Next I have my RIMMEL WAKE ME UP CONCEALER but any concealer would be fine, this just happens to be the one I am using at the moment and is in a practical stick form. I use this to disguise under eye circles and blemishes throughout the day. This and a powder is all that I require to touch up my makeup throughout the day and keep me looking fresh. Weddings can last up to 12 hours and put your makeup through a lot with dancing and crying, so having a concealer in your bag allows you to look and feel fresh in the many photos. I also carry KLEENEX BLOTTING TISSUES. This are my favourite blotting papers as they do not have any powder on them but work so fantastically you can see the grease off your skin left on the paper. These come in a compact pack so are perfect for popping in your handbag. I use these before I powder to ensure a truly shine-free complexion. Of course RIMMEL STAY MATTE POWDER is in my handbag. I apply this using a REAL TECHNIQUES POWDER BRUSH. This is an everyday handbag essential for me so of course it will be in my wedding handbag. My lipstick of choice for both my girls’ weddings is REVLON LIP BUTTER IN SUGAR FROSTING. I am not particularly into lipstick so I love the concept of the Lip Butters. They are a cross between a lip balm and a lipstick. This colour is a subtle pink sheen on the lips rather than being a full coverage lipstick. Perfectly pretty but perfectly subtle for a wedding. My final product but one of the most important is my AVENE THERMALE SPRING WATER SPRAY. I use this both to fix my makeup in the morning and to refresh my makeup throughout the day. This spray stops your makeup from looking ‘cakey’ throughout the day and makes it look like you’ve just applied your makeup. Of course I will also have my PHONE, CREDIT CARD AND CAMERA in my handbag. The above are just my beauty essentials. Although my clutch bag for the day is a decent size I have tried to keep essentials to a minimum.